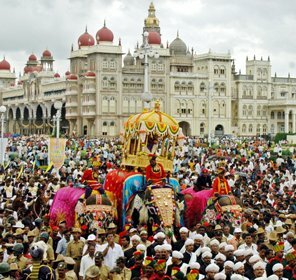 Every part of India has its own unique festival that attracts travelers from far and wide. 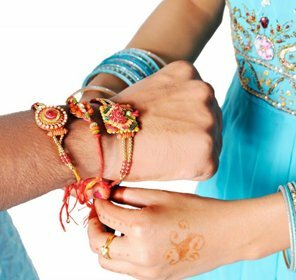 February is the perfect time for celebrating festivity. 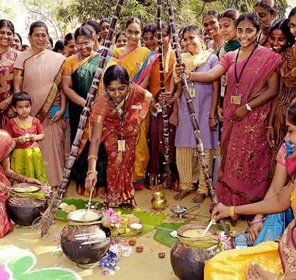 There are a plethora of festivals in February that are celebrated with lots of rituals, fun, gusto and gaiety. 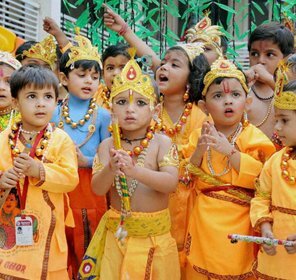 Be it Elephanta Festival in Mumbai, relaxing International Yoga week in Rishikesh or cultural Nishagandhi Dance festival in Kerala, February has so much to please the visitors and provide them with beautiful memories. 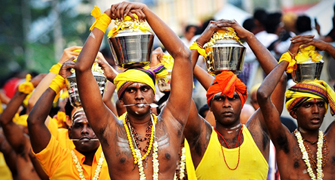 Plan your holiday in February and relish the splendid traditions and colors of celebrations. 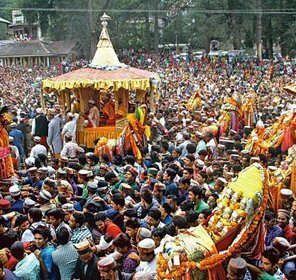 The main fairs and festivals held in the month of February are as follows. Famed for its beautiful shrines, Khajuraho is the venue for the Khajuraho Dance festival which is held every year from 25th February to 2nd March. During the festival, one can relish a number of live classical dance performances like Bharatnatyam, Mohniattam, Kathak, Odissi and Manipuri. 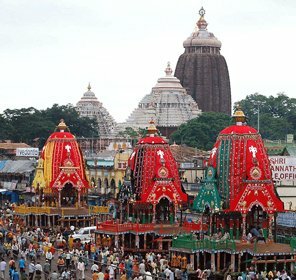 Participating in this splendid festival would be a truly exciting experience that one will remember for many, many years. 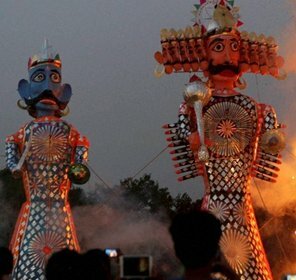 The art and culture of the beautiful city Hyderabad is reflected in the Deccan Festival which takes place from 25th February and lasts for 5 days. 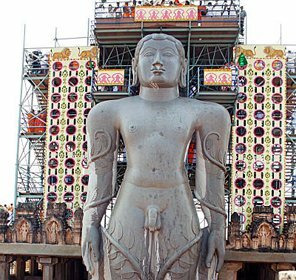 Paying a visit to this fair not only helps you to relish the dance performances but makes you familiar with the ancient history of Andhra Pradesh. 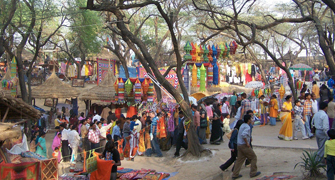 Besides this, traditional art and craft is another main attraction of this festival. 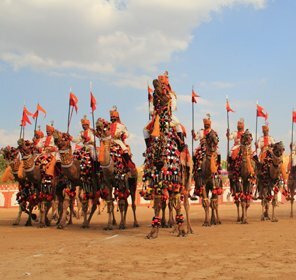 Desert Festival is a three day celebration of color, entertainment and music held in the lovely city of Jaisalmer in Rajasthan. 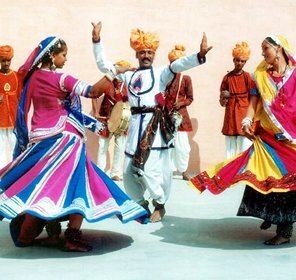 The locals dressed in beautiful attire show the colorful culture of royal Rajasthan. 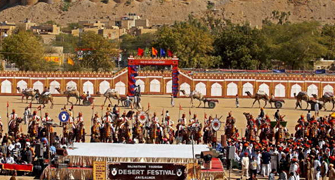 Puppeteers, folk performers, fire dancers, acrobats are the main highlights of Desert Festival. 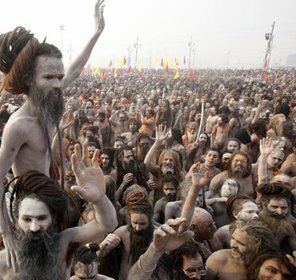 Apart from this, turban tying competition is very famous among Indian and international tourists. 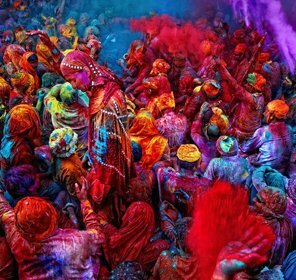 This famous festival takes place on Elephanta Island which is just 10 km away from Mumbai Harbour. 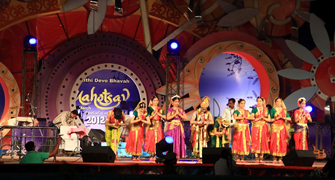 Elephanta Festival is performed to promote tourism in the beautiful city of Mumbai. 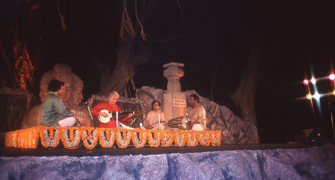 The happiness one experiences while seeing live dance and musical performances is inexpressible. It is celebrated for 2 days in the month of February. 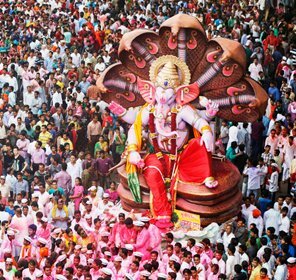 A thrilling four day festival, Goa Carnival is the much awaited festival of Goa drawing people from all over the globe. 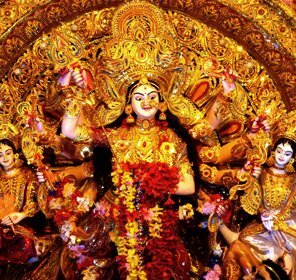 It portrays the tradition and culture of Goa in a superb way. 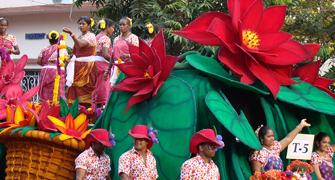 The festival includes street performances, musical performances, decorated floats and local Goan cuisine. Many tourists take part in street parade wearing colorful attire and funky masks. You all are welcome to experience a unique amalgamation of fun, entertainment, fashion shows, food and live performances. 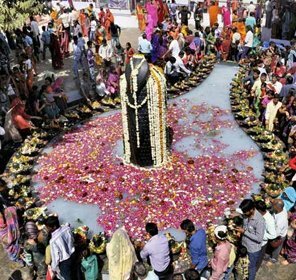 A Hindu festival celebrated with great excitement and zeal to honor Lord Shiva, Mahashivratri is celebrated in every Shiva temple in the month of Phalguna as per the Hindu calendar. 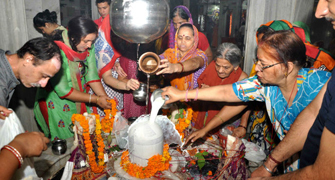 It is said that the chanting Om Namah Shivah on this day purifies the sins committed in past lives. 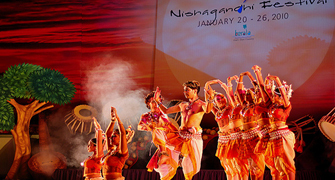 Held every year in the month of February, Nishagandhi Dance Festival is the ideal place to experience India's rich culture and heritage. Some of the classical dance performances presented by the artists here are Bharahanatyam, Odissi, Mohiniyattam and Kathak. 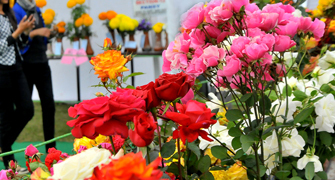 The famous rose festival in the country is organized in Chandigarh every year in February. There are many varieties of roses that one can see here including polyanthus, hybrid teas, climbers and many more. 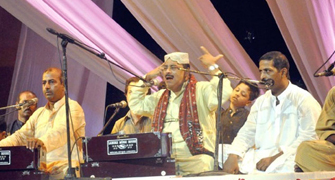 Music and classical dance performances by renowned artists are other attractions of this festival. 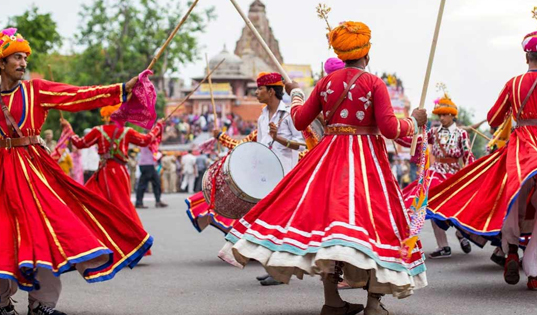 With mouthwatering Indian cuisines, traditional handicrafts, enthralling folk dancers and handloom products, Surajkund Crafts Mela captures the heats of thousands of travelers from all across the world. 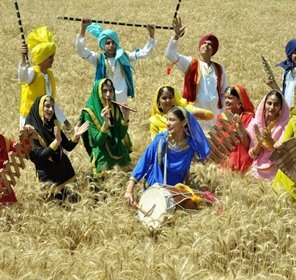 It starts from 1st February and goes on until 15th February in the rural setting of Faridabad district, Harayana. 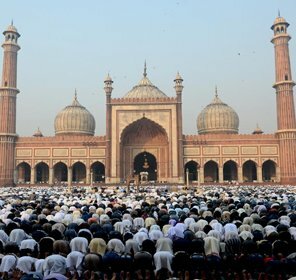 A 10 day long festival celebrated at Shilpgram close to the Eastern Gate of the Taj Mahal, TajMahotsav shows India's rich culture, dance, food and music in a unique way. 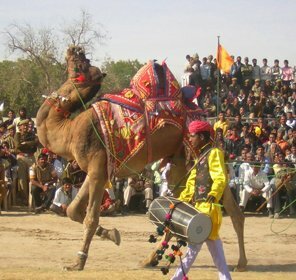 It is organized by Uttar Pradesh Tourism to promote tourism in India. 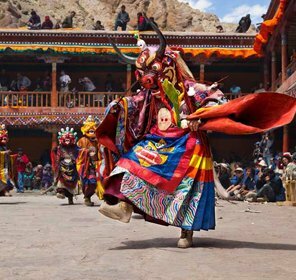 Many famous musicians, chefs, dancers, and artists take part in this festival to tender visitors a wonderful experience. 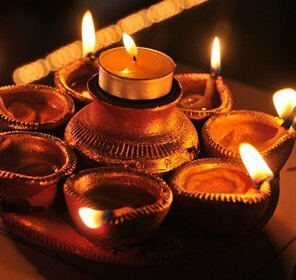 Devoted to the Hindu God Murugan, Thai Pusam is the main festival of Tamil Nadu which falls at the end of January or the beginning of February. 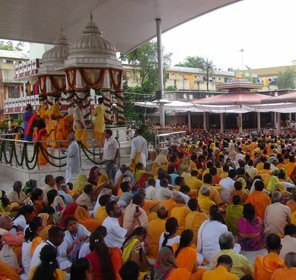 On this day, devotees wear yellow or orange color clothes and tender the god fruits and flowers of the same color. 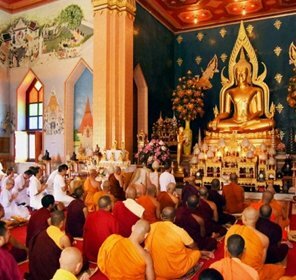 The musical and dance shows performed in honor of God are other highlights of the festival. 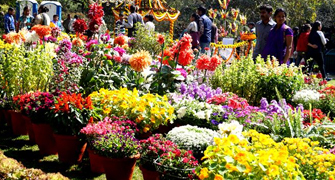 A splendid flower celebration held in Delhi, Garden Festival shows different types of plants and flowers every February at the Garden of Five senses in Saket. 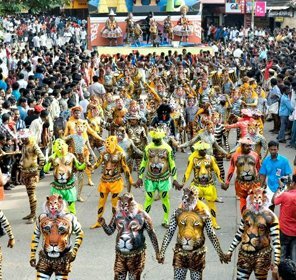 Apart from this, one can also participate in many other competitions held at the festival to entertain the visitors. 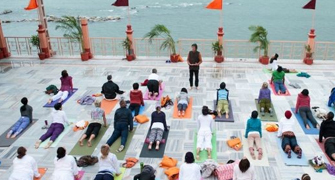 Rendering opportunity to attend yoga sessions conducted by renowned yoga teachers, International Yoga Week remains packed with tourists from far and wide. 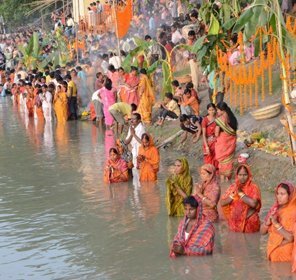 It is organized from 1st of March to 7th of March at diverse locations of Rishikesh. So don't miss it as it would tender you the peace which is required by your mind and body.